There are several Easter egg hunts being held across the Highland Lakes. Read on for more information. Easter weekend is April 19-21, and everybunny is hunting for fun things to do. Here is a basketful of egg-cellent events for the family. So hippity-hop to it! Click the links to the calendar listings to add the event directly to your digital calendar or share with friends and family. Take a casual hike in search of spring birds at Pedernales Falls State Park. Children and dogs are welcome on this 1.5-mile trek. Pedernales Falls State Park is located at 2585 Park Road 6026 near Johnson City. Call (830) 868-7304 for more. Inks Lake State Park hosts an Easter egg hunt for ages infant to 10 years old on April 20. The hunts are divided into age groups to ensure success for everyone! The event is free with a park entrance fee of $6 for ages 13 and older. Children 12 and younger get in free. Inks Lake State Park is located at 3630 Park Road 4 in Burnet County. Go to tpwd.texas.gov or call (512) 793-2223 for more. A free community-wide Easter egg hunt for ages 1-10 takes place at the Johnson Park baseball field. After the hunt, children can take part in more fun activities. Johnson Park is located at 230 Avenue J South in Marble Falls. The Granite Shoals Police Officers Association hosts its annual community Easter egg hunt with 20,000 eggs. The hunt takes place in Valley View Park. New Life Church is hosting a Spring Festival with games, food, and an Easter egg hunt. New Life Church is located at 303 Bluebonnet Drive in Burnet. Celebrate an early 20th century Easter at Lyndon B. Johnson State Park and Historic Site. 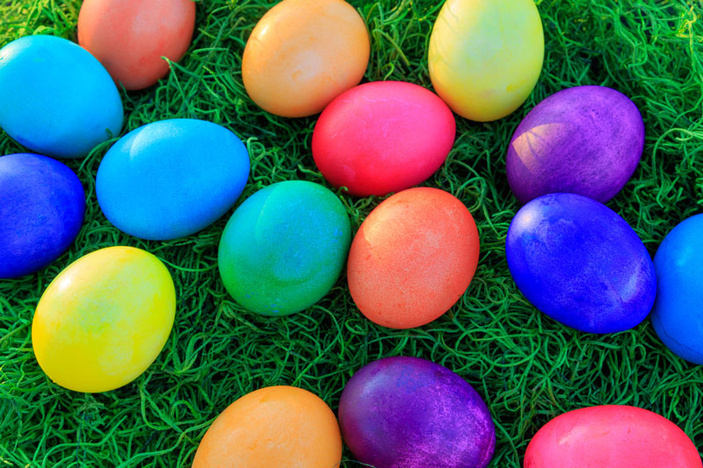 Learn how to dye eggs naturally, see a traditional Easter lamb cake, and make a friendship card to give to a loved one. LBJ State Park and Historic Site is located at 199 Park Road 52 in Stonewall. Go to tpwd.texas.gov or call (830) 644-2252. The Spicewood Community Library promises fun and prizes at its Easter egg hunt April 20. Two separate areas will be set up to allow little ones to enjoy hunting for eggs at their own pace, while older kids can race against each other. Bring your own basket or use one from the library. The Spicewood Community Library is located at 1011 Spur 191 in Spicewood. Call (830) 693-7892 for more. Kids and pups can enjoy Easter fun at Save the World Brewing Co. The event is hosted by Spay It Forward, Y’all. Save the World Brewing Co. is located at 1510 Resource Parkway in Marble Falls. Elevate Church has a special Easter Sunday planned April 21 with egg hunts, a special-needs egg hunt, bluebonnet family photos, barrel train rides, and giveaways. Church services are 9:30 a.m. and 11 a.m.
Elevate Church is located at 700 Gateway Parkway in Marble Falls. Call (512) 588-0304 for more. Mosaic Community Church hosts an Easter Sunday service followed by a family egg hunt and other festivities at Hidden Falls Adventure Park. Hidden Falls Adventure Park is located at 7030 RR 1431 east of Marble Falls. • Sweet Berry Farm is open Easter weekend, including Good Friday and Easter Sunday. Pick your own strawberries, jump on the Berry Bounce, ride the barrel train, and more family fun. Located at 1801 FM 1980 between Marble Falls and Granite Shoals. • Butterfly Bonanza at the Science Mill from 10 a.m.-4 p.m. April 19. Release a butterfly (while supplies last) in the facility’s new Aquaponics Greenhouse. You can also visit the freshly planted butterfly garden in the Science & Art Park or watch a special showing of “Flight of the Butterflies 3D.” Located at 101 S. Lady Bird Lane in Johnson City. • Kingsland Garden Club plant sale from 7 a.m.-noon April 20. Get quality plants at great prices and a pancake breakfast from the Kingsland Lion Club at the same time. Event takes place at the Kingsland Community Center, 3451 Rose Hill Drive. • Wildflower Celebration at Wildseed Farms in Fredericksburg through April 21. Visitors are welcome to walk the trails for free and enjoy the spectacular blooming fields of wildflowers as well as the butterfly gardens. Wildseed Farms is open daily from 9:30 a.m.-6 p.m. The trails are open 9:30 a.m.-5:30 p.m. Refreshments are available for purchase. Located at 100 Legacy Drive in Fredericksburg. For more Highland Lakes happenings, check out the Events Calendar at 101HighlandLakes.com/EVENTS and the Community Calendar at 101HighlandLakes.com/COMMUNITY-EVENTS. For Easter church service information, check out our list of Highland Lakes churches.